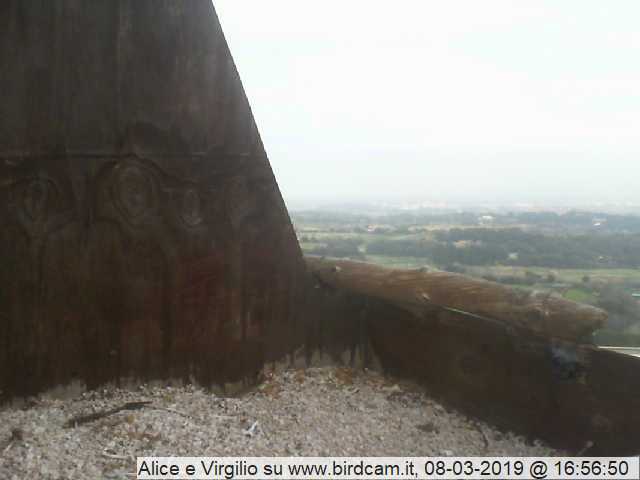 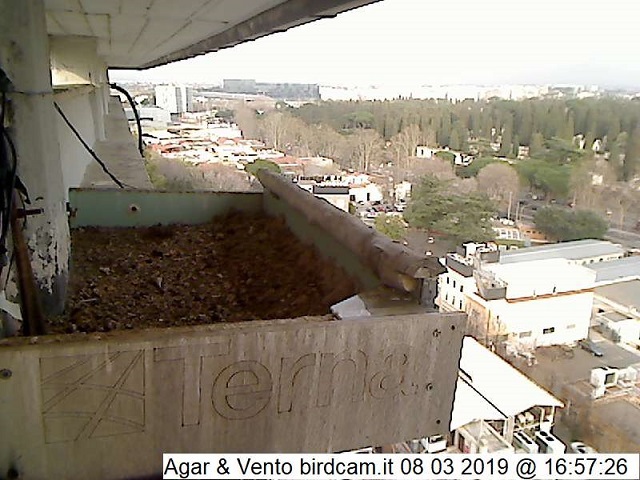 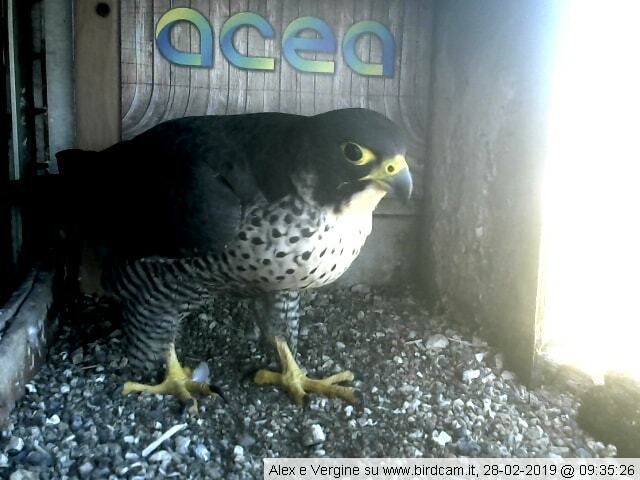 Alice and Virgilio nest in a nestbox installed on a cell tower in northern Rome. 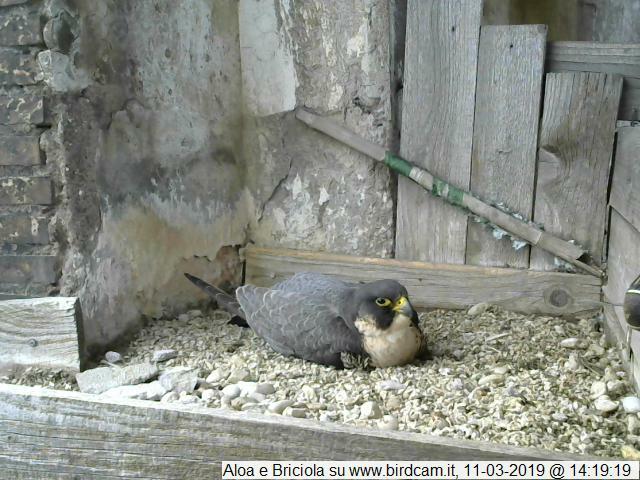 In 2017 between the 8th and 9th of April the nest was predated, and all chicks disappeared. 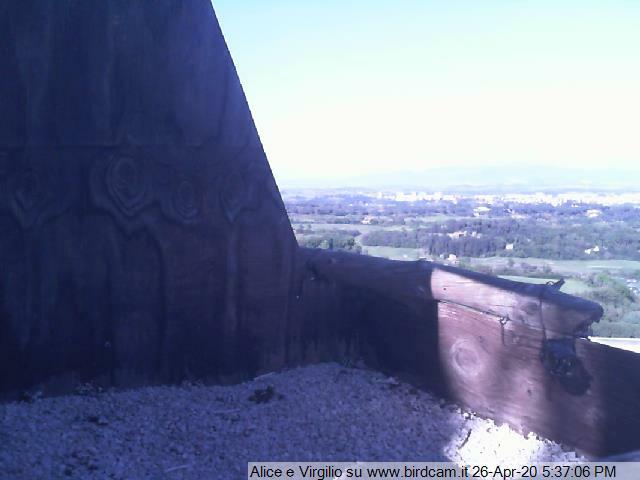 Unfortunately in those days the webcam was off, so we couldn’t witness the event. 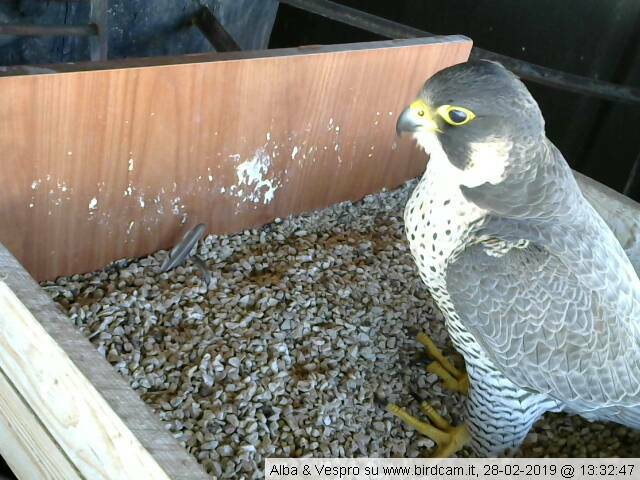 The nest is not accessible to the public, so we can exclude the possibility that they have been stolen.